What are Good Ideas for Graduation Gifts? If someone in your life is reaching that important milestone, now is the time to think about extra special graduation gift ideas. Instead of money in a card, give a gift they will talk about forever! And don’t fret, we have you covered from Kindergarten to College with some super fun and original graduation gift ideas! These little ones may be young, but their accomplishment is still larger than life in their eyes! It’s time to find perfect graduation present ideas! Umm…so I don’t know many kids who would LOVE one of these! 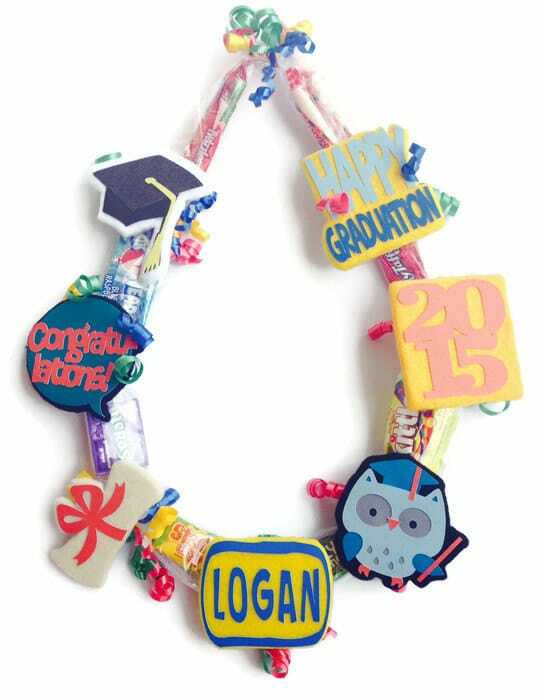 How fun are these Candy Leis for kindergarten graduation gifts?! They are made with dozens of different types of candy (unless you would like one in particular) and can be personalized with any colors and badges you would like. How cute!! How adorable! 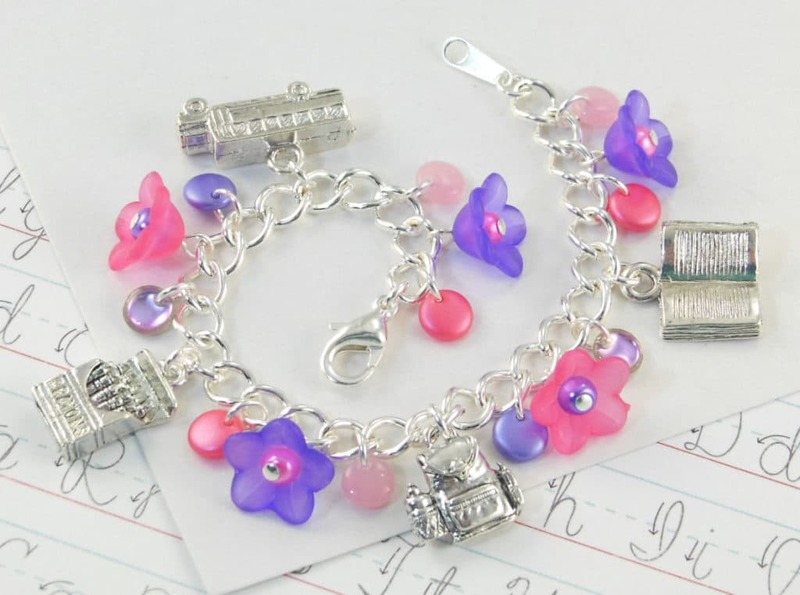 This kindergarten charm bracelet is the perfect girly gift for your little girl moving on with her academic career. 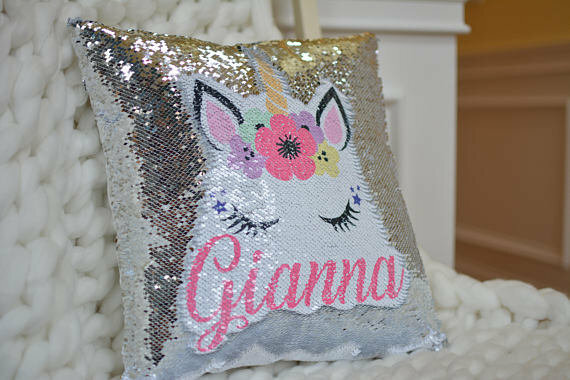 If your little grad is anything like my daughter, you can’t go wrong with a personalized sequin pillow…no matter what the occasion! Books make GREAT gifts and can be used over and over again! 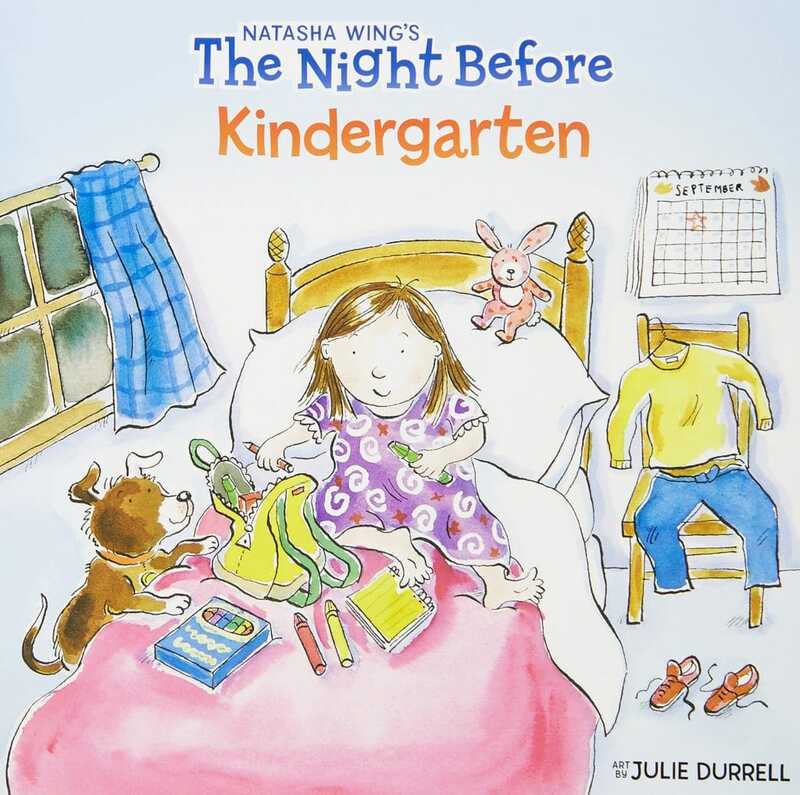 Prepare your Pre-school or Kindergarten graduate with these fun books, The Night Before Kindergarten or The Night Before First Grade, to let them know how the next step in their journey will be. Children this age are always so excited for the next step. This is a great way to let them know that they will be just fine when they walk through the “big school” doors in the coming months! Mark your little one’s big day with a personalized teddy bear! What a great way to commemorate their accomplishment. It will be a great way for them to remember all summer long how important their special day was! 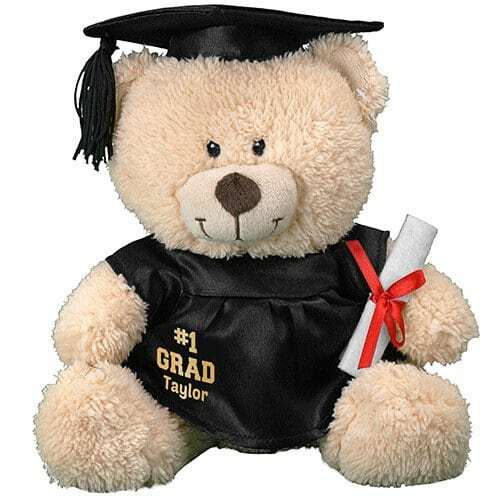 We don’t know very many kids who don’t love their own teddy bear and you can even personalize it with the school colors and year, as you see fit! 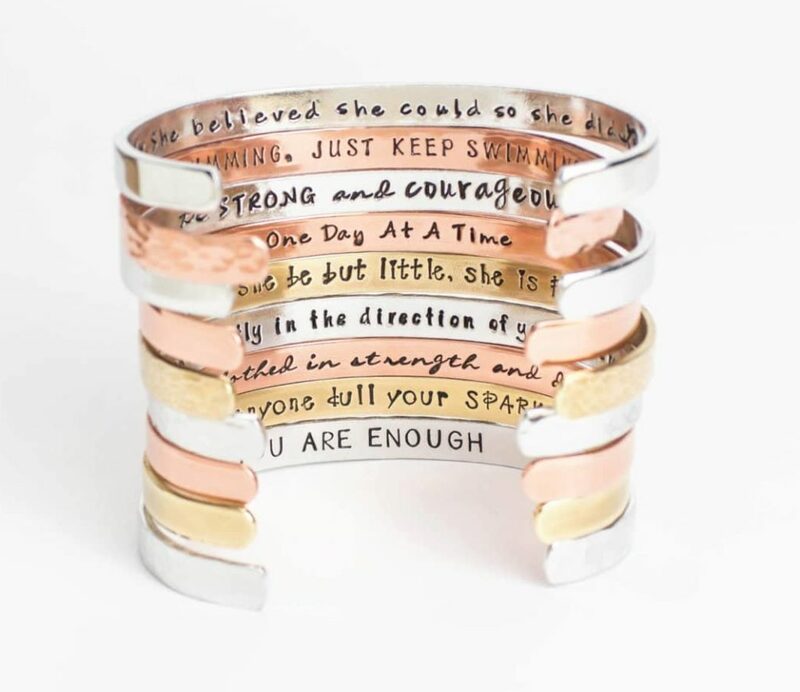 I just LOVE these inspirational bracelets! You know teenagers…at that age, no matter how sentimental they are, they never want to come off as “corny” in front of their friends. With these Confidence Cuffs™ bracelets you get to choose your SECRET inspirational message and it goes on the inside for a boost of confidence whenever it’s needed. If you have a high schooler who will be headed off to college in just a few short months, The Graduate Survival Guide, is a great gift to help them prepare for the biggest change in their life so far! 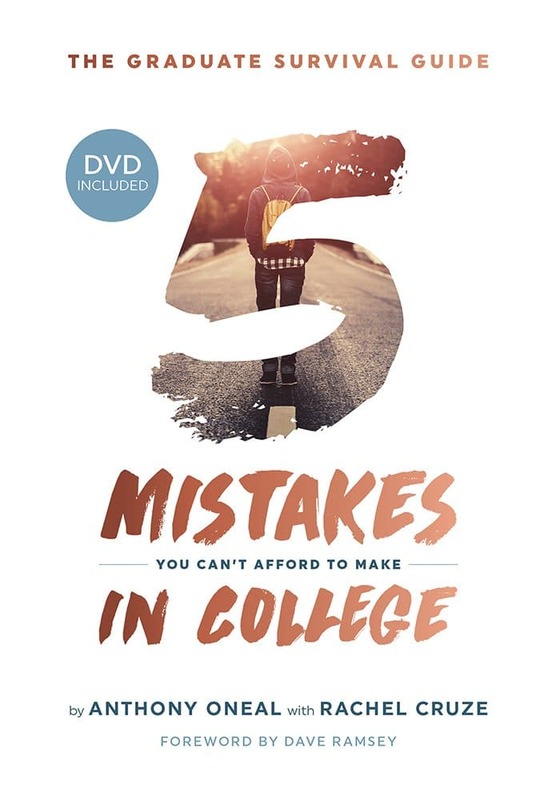 They’ll learn the five mistakes to avoid making in college, which can lead to years of pain and expensive life lessons. We all want to see the young graduates in our life start out on the best foot possible. This will hopefully help them make good decisions as they navigate the road of college life! OK, this is just all kinds of fun and will definitely be a hit! Hopefully, though, they’ll be able to keep it stashed away and not eat it all over the summer! 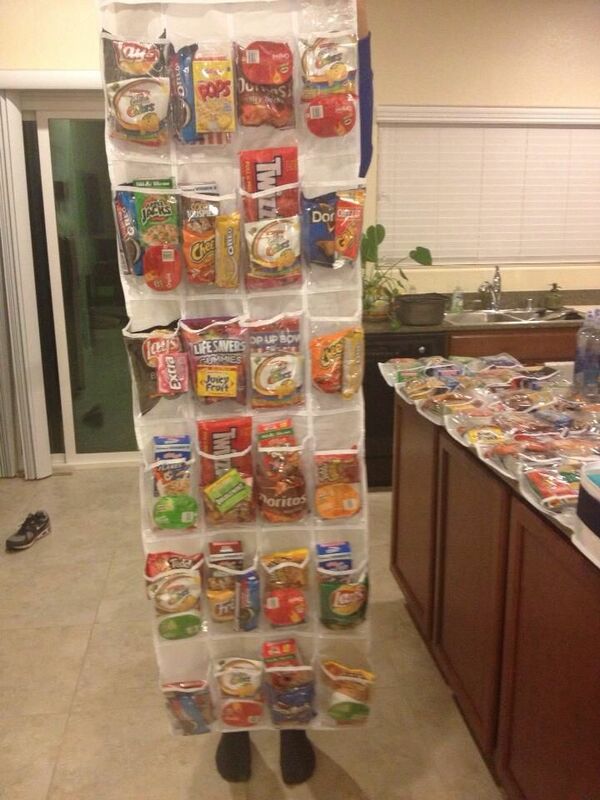 How about a shoe organizer filled with snacks for a college send off?! Find out what all of their favorite snacks are and start filling this shoe organizer with all of your grad’s sweet and salty favorites. Then, when they’re finally through the excellent stash that you started them off with, they’ll be able to keep things organized in a small dorm room. That can always be quite the challenge! Perfect! 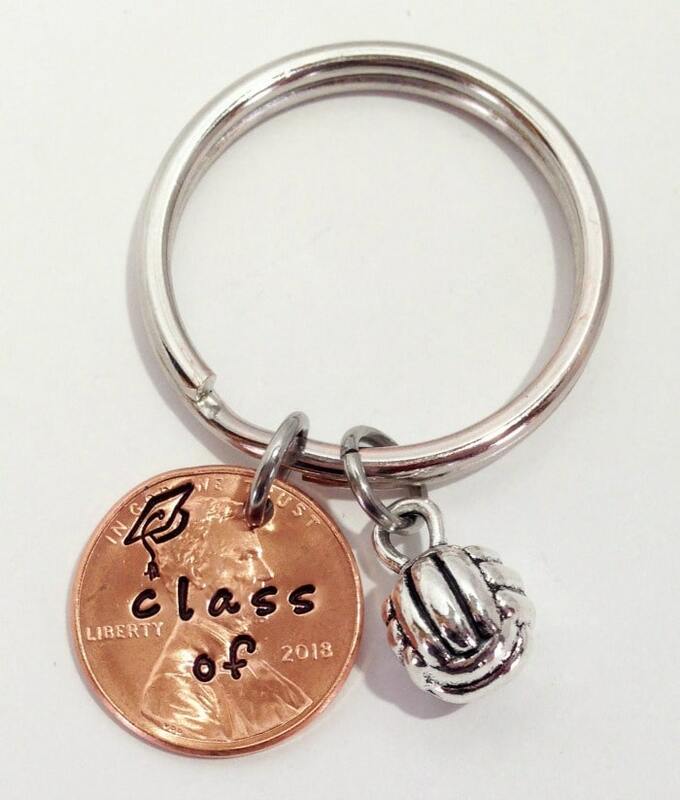 This super cute penny graduation keychain makes the perfect graduation gift for him or her! We all know that cash is king, but handing over a card with a check or a couple of bills stashed inside can feel impersonal. And it isn’t a lot of fun. 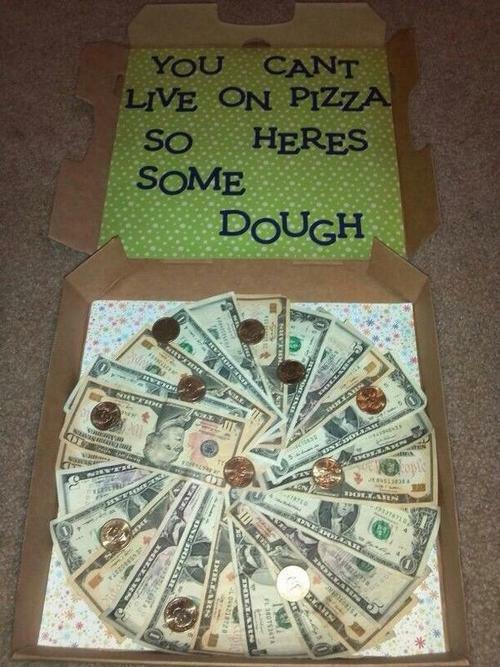 But, this great idea for “You can’t survive on pizza…here’s some dough!” will have everyone copying you for years to come! What a fun way to hand over cash for the young graduate to live on. Looking for a fun, yet practical gift for the high school graduate in your life? 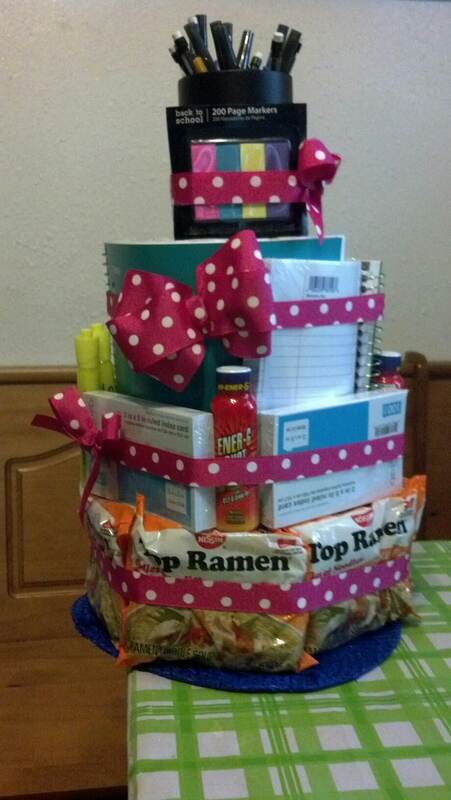 This amazing College survival kit cake will cover all of the main ingredients they will need! A gift basket is always fun and with things like Shower flip flops, ramen noodle, 5-hr energy, pens, highlighters, post-its, index cards and notebooks, it will make sure they have some important staples before moving on campus and into their dorm room. And if you are a total DIY’er like myself, you’re going to have a great time putting this fun cake together! 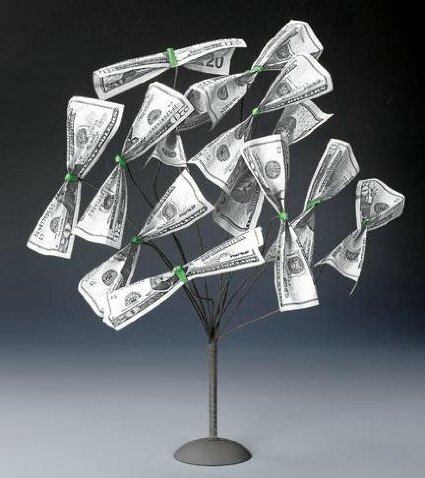 Make a Graduation Money Tree! Get creative and wrap white paper around the trunk like a diploma, make the base like a graduation hat, and go nuts! I really love ways that you can creatively give money to a graduate, while making it a little extra special. And who doesn’t love great DIY graduation gifts?! This would be fun to wrap up in a bigger box, too. That way, when your party animal opens it up, they’ll truly be surprised since it won’t be sitting on a table when it’s time to open presents! Seek some adventure before joining the real world! We all know how hard that transition can be after college. It’s about moving into the real world and settling into a career that you’ll be working through for the rest of your life! It can be extremely daunting and overwhelming. 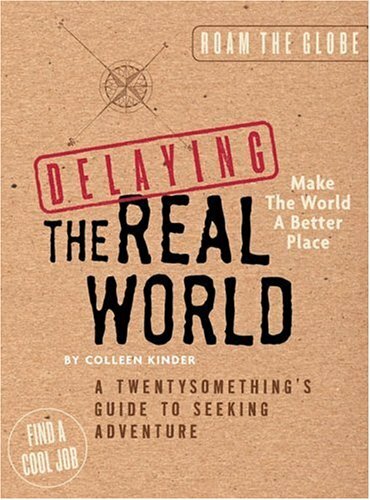 Hand your college graduate this book, Delaying the Real World, and let them know there are other things they can do before settling into their job for the next 40ish years! If nothing else, they will greatly appreciate seeing different perspectives on things! 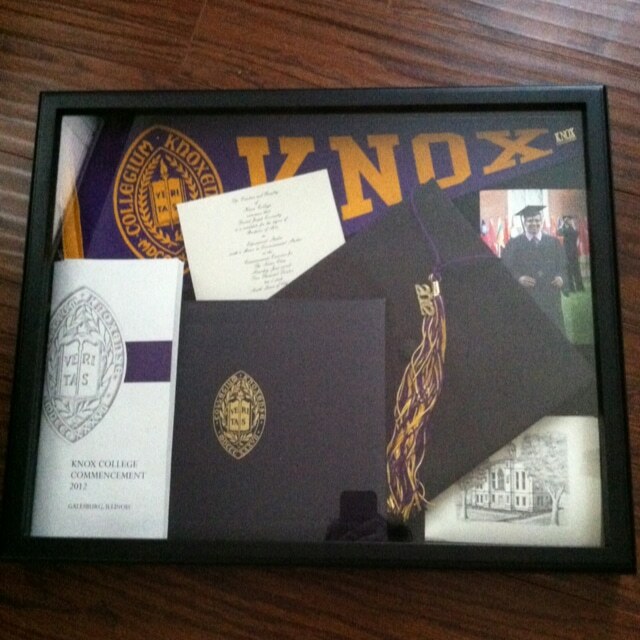 Take your Grad’s graduation items and turn it into a shadow box! I love great DIY graduation gifts and this is the ultimate memory! Once they have made their final bow with all of the pomp and circumstance, pictures, and parties from college graduation, turn everything into this inspiring memory box. They will be able to take this with them to their different homes for the rest of their life! It’s also a fun thing to do for a high school graduate, who may have been a star athlete or earned a letter in a specific area of interest. 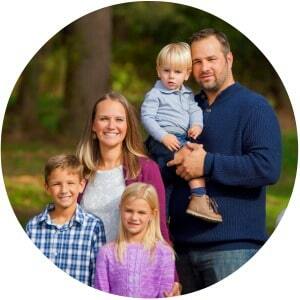 Overall, it’s a fun way to keep those memories alive for years to come! 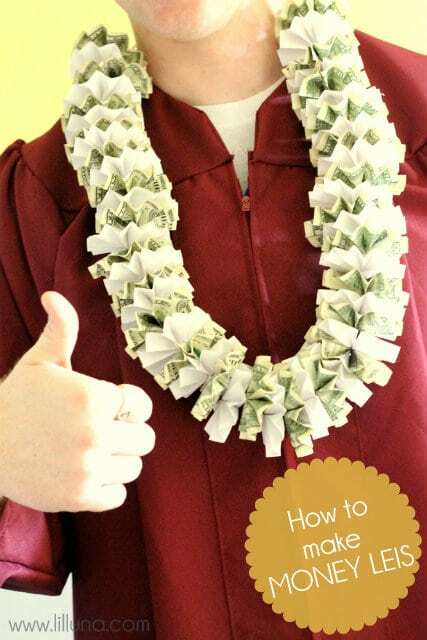 Make a Graduation Lei for a creative money gift! See step-by-step directions at Lil’ Luna and surprise your graduate with a one-of-a-kind gift! Any way that I can give money in a unique and fun way, is a way that I love! And every graduate appreciates a little extra seed money to get them started in their new life! Money gifts are always a hit! Life can be a little out of control at this point in a young person’s journey. Between dealing with the shock of no longer going to school and now transitioning into a full-time career, it can be a hard transition. Give your college graduate this great book, Now You Tell Me! 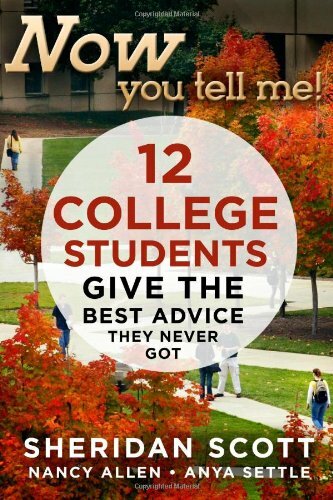 12 College Students Give the Best Advice They Never Got: Making a Living; Making a Life, to help them on the new journey they’re about to have! Books are always great graduation gift ideas! 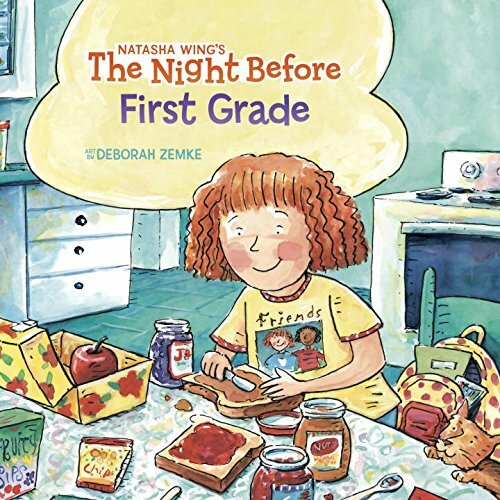 Every year from kindergarten up to senior year, take this book to parent teacher conferences or sneak it into school and have your child’s teacher leave a message or a memory. At their high school graduation surprise them with a book filled with memories! 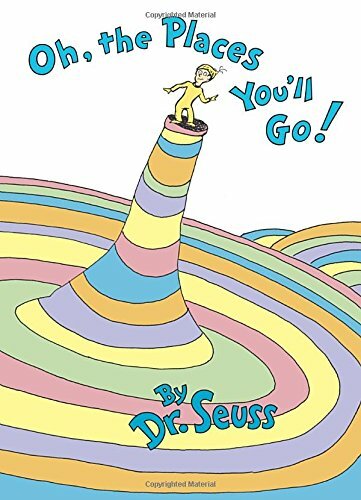 Get your copy of Oh, the Places You’ll Go! I do this with my own kids and absolutely can’t wait to get this all filled up for as many years as I can get away with it! 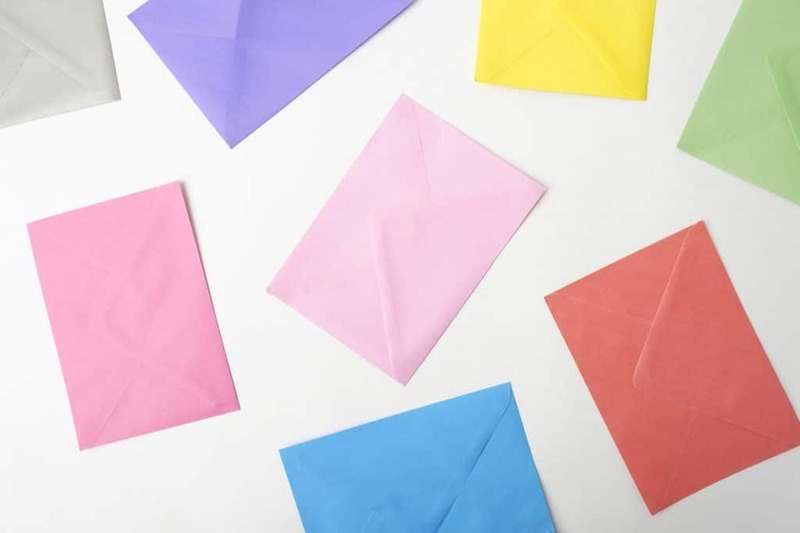 At the end of every school year write a letter to your child. Touch upon the highs and lows and big events that have happened. 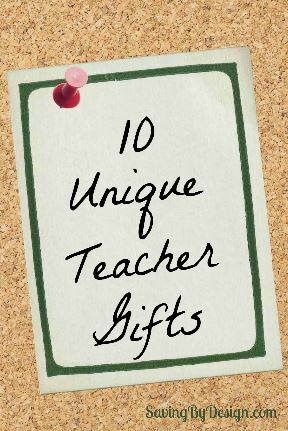 I hope you find a perfect, unique graduation gift ideas for your Grad in this list! Do you have a fun gift you’d like to share? Tell us in the comments below, because we always want to hear about great graduation gift ideas! 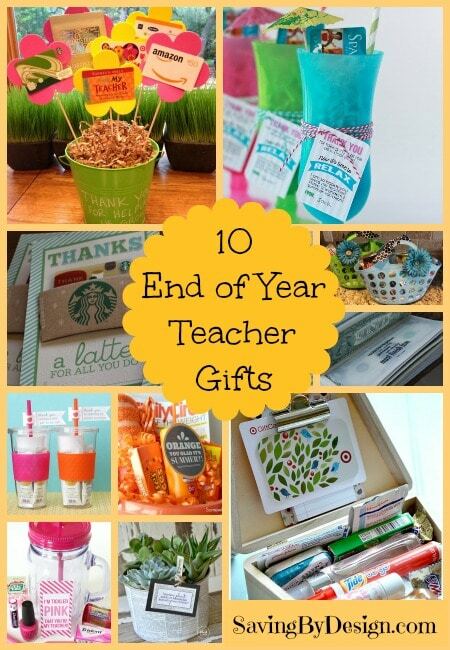 Don’t miss these other end of school year posts! Our grads aren’t the only ones who deserve a great gift at the end of a year! Wow, these are great ideas ! The over the door shoe organizer is mine! I love how often it has been shared on I have even personalized each pocket with photos and this year I will be personalizing them with college logos : ) I hope everyone enjoys! This is a hit in my daughter’s dorm room and everyone is very envious. 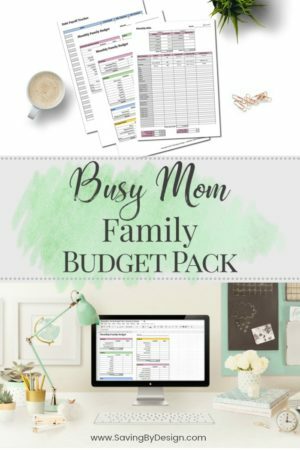 Nice ideas.For sure I will use some of them when my daughter is graduating.